I have consistently said that driver count in a BA design IEM should never be the final arbiter of what constitutes good sound quality and there are some fine examples of that caution with the splendid 5-driver Campfire Andromeda springing to mind. However, the mere fact that 64 Audio decided to launch something with no less than 18 drivers still elicits a rather primordial Tim Allen style manly grunt and the metaphorical beating of the chest. I am sure that was never the intent from 64 Audio when they launched their new $2999 A18 but having the world’s largest driver count at the time of writing must be secretly satisfying on some level. The pitch here is rather front and center with two clear messages. 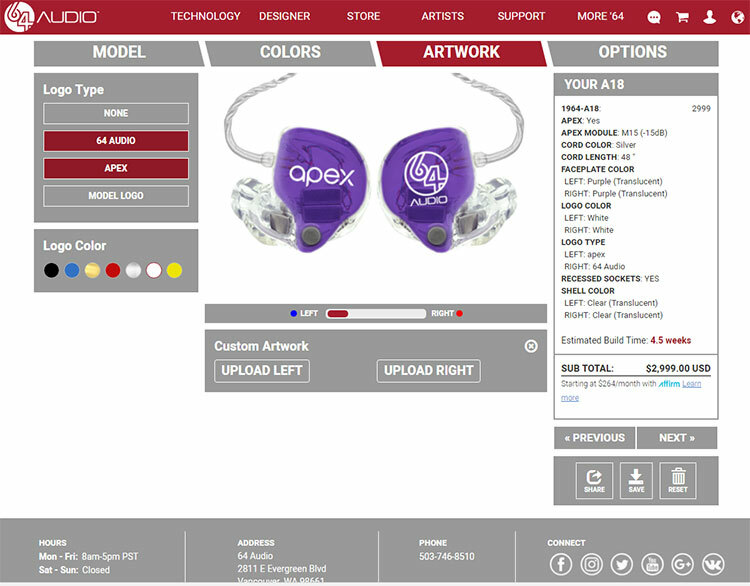 The first is the continued use of APEX technology in what is now their flagship CIEM/IEM, the u18/A18 and the second, whether by intent or by simply existing, the world highest BA driver count ever in an in-ear monitor merged using aspects of their new ‘tia technology’. Tia stands for tubeless in-ear audio and is a key unique selling point for both the A18 and their current universal flagship the tia Fourte. At the heart of tia is a brand new open balanced BA design is pitched as being far more open in sound that a sealed and tubed BA driver which the majority of other BA designs still use to this day. With the diaphragm free of obstructions the contention is that a lot of the vibrations and resonances you get with closed designs will be gone. No more tubes and no more dampers leaving more room for chamber design and a switch to my preferred single wide bore nozzle. Wide bores produce better sound to my ears than individual channels delivered in tubes right up to the tip. I guess in many ways it is like moving from a closed back headphone to an open headphone design and certainly the tonal characteristics of the A18 resemble that shift. The A18 is not a full tia design though, that accolade falls to the $3599 tia Fourte which I heard at CanJam Singapore and it makes a complete mockery of being “just four drivers”. This is a hybrid design with a tia driver for the treble delivery which is why out of the 18 driver count you see just one dedicated to the entire treble performance. If the tia Fourte needs just 4 for the entire range then it stands to reason one tia driver for the top end will be just as good as previous closed multi-BA implementations. The remaining 17 drivers are of a normal BA design and are configured with 1 for the upper mids, 8 for the mids and 8 for the low-end using a 4-way integrated passive crossover. The A18 also continues to see the use of 64 Audio’s new APEX technology in the form of the M20 and M15 modules. Both modules are included with the A18, you can also purchase the modules separately in the accessory section on the website. APEX is short for Air Pressure Exchange. Essentially the end goal is the same and that is to reduce the level of pneumatic pressure being delivered alongside sound pressure when inserting and using an IEM or in this case a CIEM. By reducing this type of pressure the ear drum gets less of a work over. Thus, the potential of long term hearing damage from using such devices is reduced allowing you to safely play music at a louder level than you normally can. APEX works its magic through a series of small modules that are designed to fit snugly into the actual shell of the CIEM. Naturally, a parting of ways means a requirement to come up with a new physical design that could convert APEX into reality without infringing on patents from the previously used product. 64 Audio came up with such a design using a multi-cell studio-grade TPE material which they claim to be very effective and should yield a consistent level of results with the new technology when deployed over the long term. The A18 also comes in a universal format and sits alongside the tia Fourte as the TOTL CIEM on offer from 64 Audio and pricing starts at $2999 for universal edition and possibly more depending on the options you take if you decide to go with the custom edition. These are the only two monitors with tia technology currently offered by 64 Audio with the rest of the range having a more traditional design from the A2e to the A12 as well as the universal series. Universal is tagged as their U series and customs with A series. All of them come with APEX modular as stock with the option to buy other modules. Both lines reflect each other in terms of what they offer with the A series having the additional A2e. Should you wish to buy alternative APEX modules these are now available under the accessory options. You can opt either for the M15 APEX module or the M20 APEX module and both are the same $99 price. The M20 offers a straight -20dB of noise isolation using the APEX technology and the M15, which 64 Audio are pitching as the middle ground between bass attenuation and isolation. The M15 features a combination of dual ambient ports and modified internals to achieve -15dB isolation at 350Hz and an additional 4dB cut at 20Hz to achieve that compromise. Not much has changed in terms of how you order and purchase your A18 from 64 Audio and that is a good thing because it is a stellar website ordering system. The closest that comes to this is the new one from Vision Ears which has a similar flow but I have not as yet gone through their process in as much detail as I have with 64 Audio’s down through the years. The only real changes you will see on this tried and tested system are the design and CIEM choices which expand every year. The workflow of this great tool takes you right the way through choosing shells, face plates, designs, initials, colors, modules, and cables. It finishes with a choice of shipping before it takes you to the payment options. That’s great control and choice right at your fingertips. Yet the journey doesn’t end there. You get an account that allows you to log in and keep track of your build process and where they are and what there is left to do. You also get an email letting you know from time to time what is left to do which is very cute. Finally, you get an update with tracking details when the unit is being shipped out. It does not come any better than that. ACurrently their build time is at four to five weeks max which makes 64 Audio one of the fastest for turning around your purchased design into reality. This being my fourth design with 64 Audio I opted for a color I had not tried yet, their translucent purple. I think I saw it on one of their promotion pics a while ago and though it looked rather fetching. Once again, I opted for a clear translucent shell and tips, a black cable, as well as the APEX and A18 logos on each face plate. The face plate itself used the translucent purple tone. You can, of course, have your own printed design at the front should you wish to personalize the experience a bit further. Whilst 3-d printing means a more hands off and qualitatively better build process the net result is still a rather restrictive design choice for shell colors. Most designs work well with the clear translucent, some look excellent with charcoal as well as the more solid black. However, I do miss the vast range they had when the design process was more old school with the ambers, oranges, subtle tones that worked so well with the wood plates. 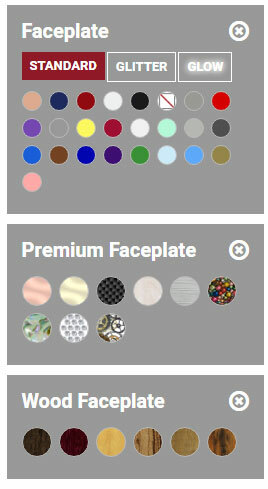 Yup, there are plenty of face plates to choose from but the lack of matching shell options does make some of them a bit moot. I do hope the guys can figure out new ways of bringing in a wider range of shell colors in the future so we can color coordinate with a bit more panache. Considering this is my fourth design the days of sending in my impressions have long since gone with 64Audio able to retain a digital copy of my ear impressions scans. This means it is the same darn fit each and every time and that is really assuring because the first ones were excellent to begin with. Digital scans save a lot of time and expenses sending in ear impressions and cut down on the possibility of error from the audiologist side. You simply have to get it right first time. For those who are first timers, I recommend an experienced audiologist using a clay with mild expansion properties and a closed or relaxed jaw ear impression up to the second end of your ear canal. 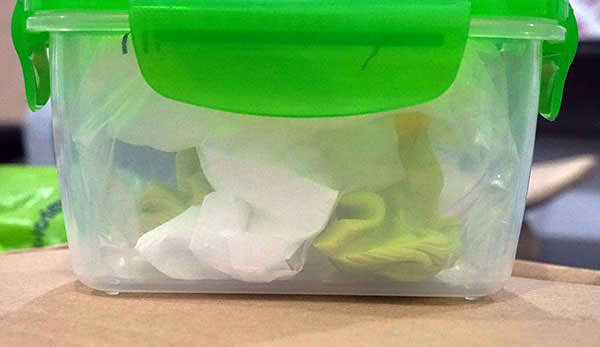 Once completed throw them in a ziplock bag with a single scrunched tissue, put some air into the ziplock then close it so the air remains inside. Then pop it in a small food container and give it to your courier of choice for delivery to 64 Audio. Of the two 64 Audio flagships (A18 Tzar or Tia Fourte), which sounds more open and has a greater headroom? Sorry, we do not have a Tia Fourte here to compare but from what I remember of the test unit of the Fourte in 2017 the A18 had a more balanced sound. Then I am told they re-tuned it again shortly after and it was brighter than the A18. I hope one finds its way to you soon. I’d love to hear a comparison between the two top models from someone who had the opportunity to listen to them both extensively at the same time. I am on the fence about which one to choose, and considering the price I have to make the right choice for myself. Thanks for the detailed and engaging review. Well written and well read. May I inquire for your opinion? I’m debating between the A12t and A18t (yes, the Tia has trickled down). My sources alternate between the mighty A&K sp1000 and the lowly iPod Shuffle, which I actually use more often as I listen to music on the go. I’m strictly in for enjoyment, not to analyze or dissect…Thus, which of the two CIEM would you recommend? I wouldn’t get too mesmerized by the “t”, one is 12 and the other is 18 drivers and the A18 sounded miles ahead of the A12 when compared. I cant see the tia driver combo changing that balance. I currently own 64 audio U10, but I am looking for an upgrade. I can’t decide between 64 audio U18 Tzar and Noble Audio Katana. Thanks for dropping us a question. I actually did a fairly comprehensive look at the Katana vs the A18 on page 3 that might help you with your decision. Can you compare it to the UE Reference Remastered? Is it technically much better than the UE? I cannot, we do not have one to compare with sorry. mm….good review. 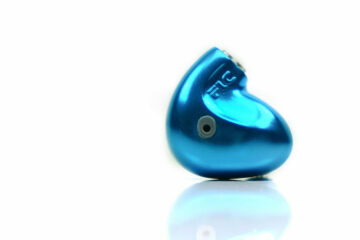 But I opted for the Tia Fourte as I needed a uni rather than a new ciem. I can agree totally that the mere 4 driver is just plain bonkers. Fourte is just a real gem. Spent a good 30 minutes auditioning it during CanJam Singapore and preordered (to take advantage of show discount). Now, I am happy as a clam. I did audition the uni demo of the Tzar during the show. Mm.. @bmichels. I like the small shell of the Fourte and it fits my ears very well. The SQ is very good and is more attuned to my preference specially in the bass dept. Also, I like the slightly aggressive presentation of the Fourte. I only briefly auditioned the Tzar demo so I can’t provide a fair and more detailed comparison. But overall, I feel that both the Tzar and the Fourte are on equal footing and it will boil down to personal preference. I actually heard both at CanJam. You do need more time with the u/a18 than the Fourte as the Fourte has a more immediate and musical signature than the A18 which tends to be a little more neutral. The price it’s a joke. You do realize Bastian that there are more expensive IEMs out there? Is not necessary see my email, lol ? I do not know, I dont want to pay more than, 2000 usd for headphone, please .. the prices are very ridiculous, maybe this headphone is really good, but is not electrodtatic system. 3k usd is the top of ridiculous right now for B.a or Dynamic Driver, electroestatic are actually the high end. Not this. Over-price is real, look the cables. 1500 usd cable for cable iem? Really?. Yes.. it is your opinion. Very interesting and detailed review. Thanks a lot !